"The Chidambara Vilas, Tamil Nadu is the winner of NDTV Design and Architecture Award, 2014. The heritage Chettiar home showcases the luxurious Chettinad lifestyle of the 20th century. The 110 year old heritage home has numerous stories to tell. 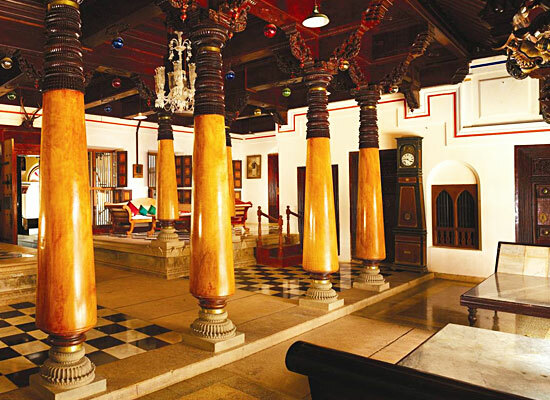 Built by the famous Krishnappa Chettiar Dynasty, today Chidambara Vilas is restored and managed by Sangam Group. The restoration not only recreated the authentic heritage but modified the property with modern luxury amenities. The Chidambara Vilas proudly sings glories of its 110 year old existence. Built by Krishnappa Chettiar Dynasty, who were famous financiers and powerful dynasty, the legacy of traditional Chettinad region breathes here. The construction was started in the year 1900 and took 7 years to complete. The wood was imported from Burma, lights and mirrors from Belgium, chandeliers from Daman and Diu and tiles from Italy. 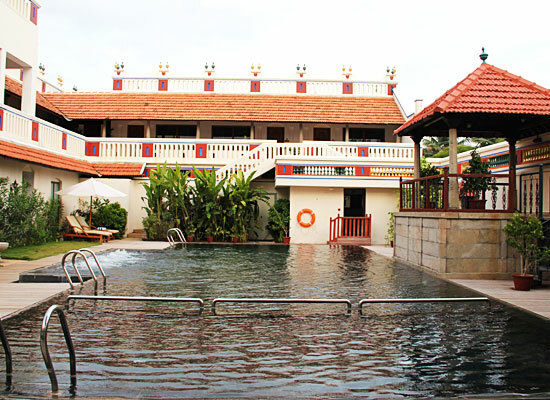 The culture, heritage and opulence of the owners is reflected in the beautiful Chettiar Vilas. A century has gone by but the charm still lingers in its air. 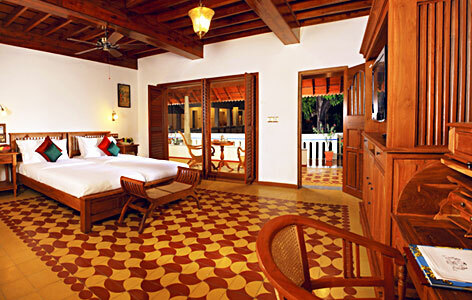 Chidambara Vilas is a pioneering luxury heritage hotel in Chettinad. 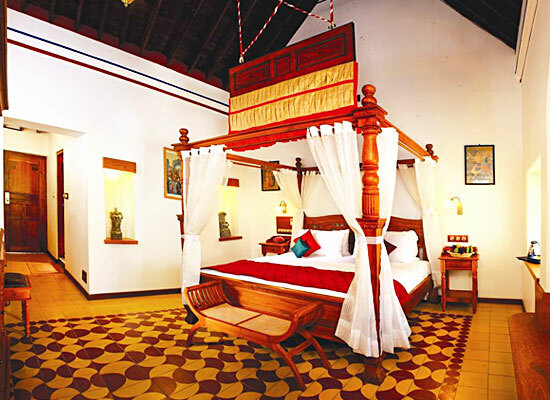 The lavishly recreated mansion retains its charm of the bygone without missing on any modern luxury. The use of Vintage format accessories, the famous ‘Athangudi’ tiles, wooden paneling and beamed roofing takes you to the bygone era. Relish stay in the style of Chettiar homes enjoying modern amenities at the Heritage Double Room. Every room has poster beds with carved wooden posts and curtains. The modern facilities are air conditioning, refrigerator, HD TV, full feature bathrooms with long bath and shower cubicle. Study tables, lighting fixtures, large wardrobes, Tea/Coffee makers and intercom to connect with the staff at all times for any requirements. Overlooking the rustic landscape, Heritage Twin Room matches every modern need blended with the vintage room aesthetics. Recreating history with handpicked paintings, the ambience transports the visitor to a different era. From air conditioning, HD TV’s and refrigerators, to bath rooms that feature a long bath and shower cubicle. Modern features are Intercom, study tables, Tea/ Coffee makers and many such pleasures. Chidambara Vilas just does not recreate Chettinad style in living but also in its dining. The Chettinad cuisine is cooked with unique local flavors and ingredients. Try out interactive kitchen, fine dining and experiential dining. Relish the whole platter of Chettinad cuisine. Try out delights of spicy fares served on freshly cut banana leaves, to fine dining dressed in vintage cutlery in the very formal settings of the British Raj. Interact with chefs who are locals and will have interesting secrets to share. Visit historical locations like forts and temples. Enjoy photography of the rustic Chettinad region. Pudukkottai is a beautiful historical city in the south Indian state of Tamil Nadu that is known for housing some amazing tourist attractions, mainly temples such as Brahadambal temple. This erstwhile kingdom is placed on the banks of River Vellar. It is quite close to the Chettinad region, which too is worth-exploring.